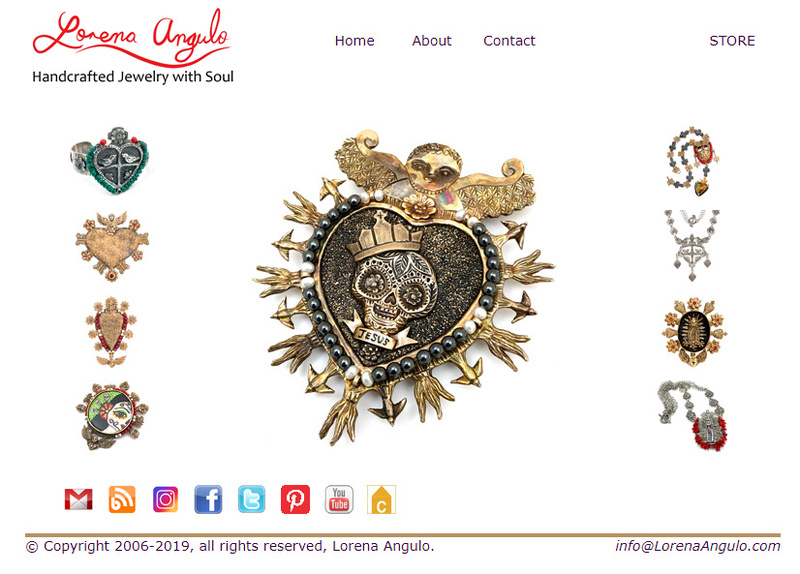 Lorena Angulo: Penland Book of Jewelry and Penland Book of Glass reviews. Penland Book of Jewelry and Penland Book of Glass reviews. I had been fortunate to received some books for review and I can not tell you how much I love doing it. This set of books especially are very close to my heart because I think they are FANTASTIC !!! The books are so well made and have amazing work by some of the best artists in their craft. I will start talking to you about the first book I got a while ago. 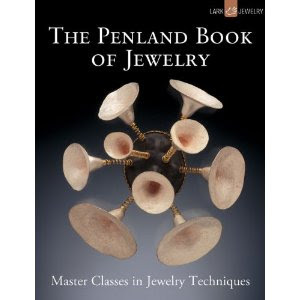 The Penland Book of Jewelry is a remarkable book showing the work and techniques of Master Artisans. The editor of this great book is Marthe Le Van and is another wonderful publication by LARK. Lets start by saying that Penland School of Crafts is a Nationally Renowned education center located in the Blue Ridge Mountains of North Carolina.This school has been an important destination for eager students and very gifted teachers for more than 75 years. I hope one day I can be able to visit this wonderful place. The artists that are featured in this book are shown demonstrating the craft from which they are known. I particularly love the work by Marylyn da Silva. 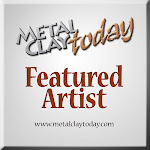 Her specialty is nontraditional color on metal. Marylin da Silva devised and refined the application of gesso and colored pencils on metal. Her work is full of color and has so much soul in it. In her section of the book you will learn how she applied the gesso and how to prepared the metal for it. There is a hands on project and the images are magnificent. She also shares samples of different variations produced by different colors of gesso and textures in the gesso too. The gallery section in each of the masters in this book has amazing images of different artists. Believe me when I tell you that this is a MUST have book. Every master in their own craft has incredible information and wonderful images. 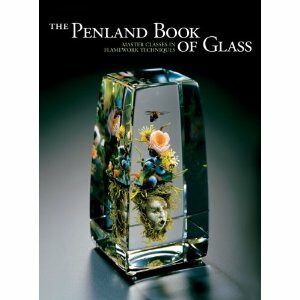 The second book is The Penland Book of Glass, master classes in flamework techniques. The senior editor of this fantastic book is Ray Hemachandra and published by LARK. Even though I do not work with glass this is such a beautiful well done book that I will have it in my library and will look at it over and over. The masters in the book have incredible talent and their hands on are fantastic. I was amazed at how impressive their work is. Everyone with their own style and technique make this book to be a great book to keep. I am sure you will be inspired no matter what medium you work with. All this master artisans have hand on projects in the book which also includes beautiful galleries with works from other incredible glass artists. I am sure you will not regret getting these books, they are very well made and will give you a lot of inspiration !